It’s always nice when an app comes along that addresses something that you never knew you really wanted. 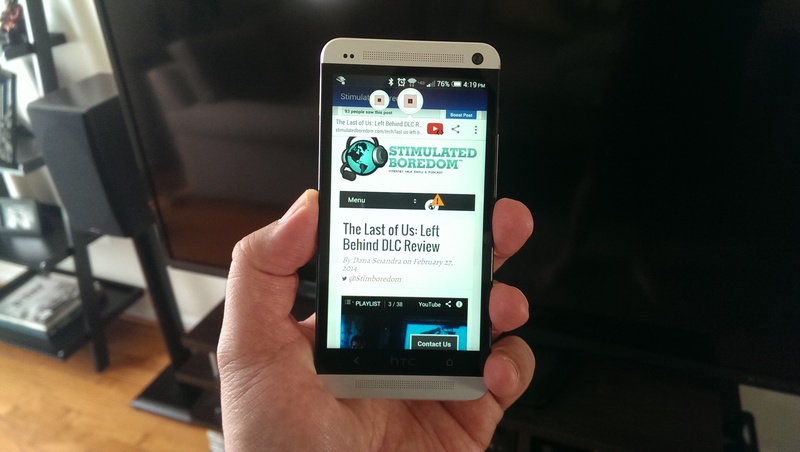 Such is the case with Link Bubble, a new kind of mobile browser for Android by developer Chris Lacy. Traditionally when flipping through your feeds on Facebook, Twitter, Google+ et al, selecting a link within the app will automatically launch your phone’s mobile browser in a new tab that navigates you away from the app that you were using while you wait for the content to load. What Link Bubble does is to basically cut out the middle man by displaying in-line media (showing content without opening another window), so that you can more easily and quickly check out all of those random links and annoying Buzz Feed quizzes that your friends are sharing, while still remaining within the app that you were using. As you’ll see from my *video review above, the experience is really great, allowing you to continue flipping through your feed while the content loads in a handy (and moveable) ‘link bubble’ off to the side. Once the content loads, simply tap the bubble and the article will load in-app and allow you to scroll through and peruse the content. When you’re finished, you can quickly share the content by holding and moving the bubble to one of the (editable) shortcuts in the upper left or right hand corners, or you can swipe it down to the bottom and close it altogether. Tapping the bubble once more drops the content to the side, should you wish to come back to it later. The latter is where I really enjoy using Link Bubble. Often, I do not have time to fully read the content that other’s share – nor do I want to search for it again later – but I do want to be able to come back to it. Therefore, I’ll load multiple articles and videos (which also play in-line) into Link Bubble and come back to later when I have more time (aka: pooping, standing in line etc). The ability to load multiple links is only available in the Pro version ($4.99), but the free version does have this feature unlocked for 24 hours so that you can test it out before deciding whether or not you want to upgrade. Beyond that, the video review above covers most of the bases so that you can see some of the handy functions and features that Link Bubble has to offer. As I said in the beginning, Link Bubble is one of those apps that I didn’t realize I really wanted until I started using it. It’s pretty much set as the default browser for any social apps that I use, as I really like the ability to quickly check out content, yet always remain within the app that I am currently using.